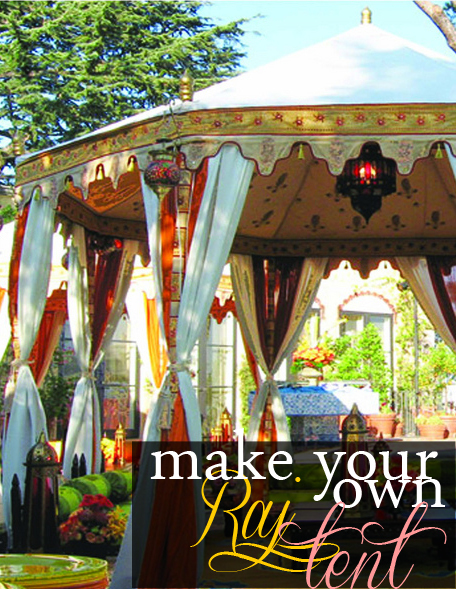 Grosgrain: Make Your Own Raj Tent!!!! 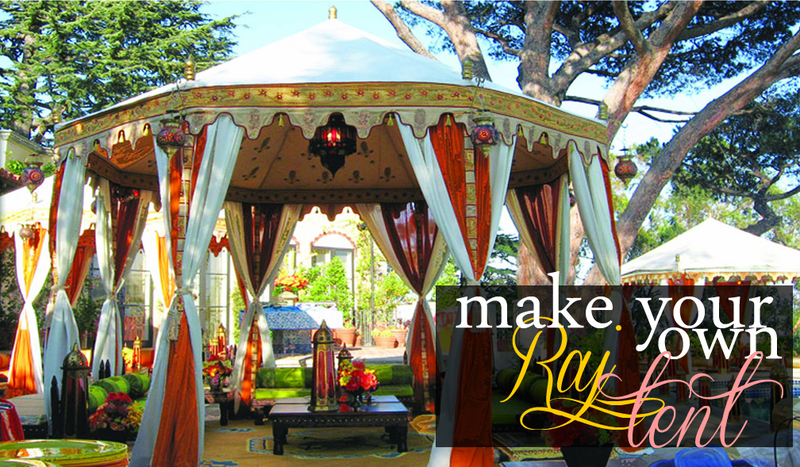 Make Your Own Raj Tent!!!! 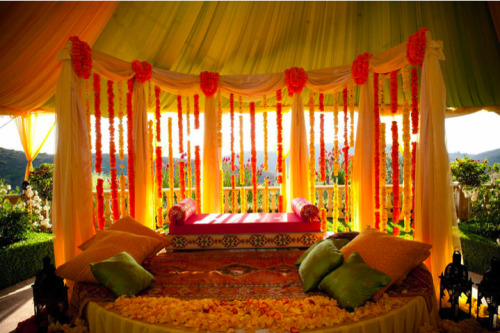 I've been loving Raj tents lately, especially the octagonal shaped ones. But they are SOOOO expensive. To give you an idea of how expensive I found a similar company who rents them starting at $2,000. I also found this ebay seller who will make and ship one for you for $1,300. I love these for weddings or any kind of outdoor social event. So I've been looking for ways to make my own without too much work or money. 1. FIRST, I found this portable tent on Walmart's site for only $149. 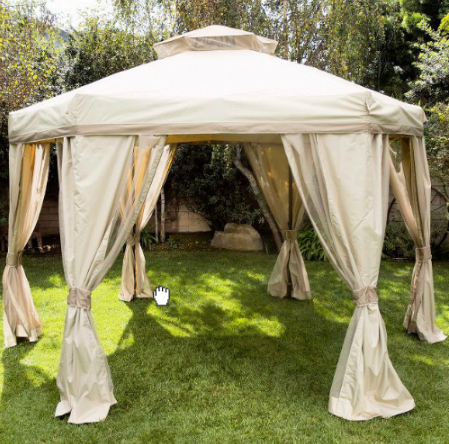 There's also this 13' hexagonal tent at Brylane Home for only $99. With this coupon code (bhk25vr) you can get $25 off. The shipping and handling bring is back up to $102. BUT, that's still pretty good! 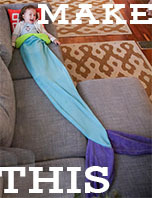 Plus, this is bigger than the Walmart one, ships to your home, and has the scallops already built in. Looks a little flimsier though. 2.. Wrap the poles in ribbon. 3. Here's the key! 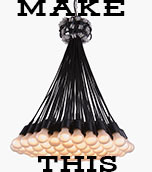 Make a scalloped wrap around with tassels. If you bought the Brylant Lane tent you only need to buy an embellished ribbon as the scallops are already built in. I bought these tassels here, 100 pieces only $11 with free shipping. I would then use large buttons (or better yet rope buttons) to secure the tassels at the top. I found these really fantastic gold and pink rope buttons here. 40 buttons total $11 with free shipping. To find similar ones just type in "chinese knot button" in the search engine. Hot glue would work to secure to the tent. If you were making a scalloped wrap around you could use Velcro tabs to secure around. I would cut a long piece of fabric in the scallop shapes then cover the raw edges in contrasting bias tape. 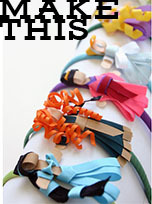 Then maybe use a long piece of embellished ribbon like this to add to the top. 4. Hang two colored curtains from the inside and wrap around the poles with more tassels. Flowy fabric like chiffon would work well. As you can see from the photo below the fabric only has to extend about a foot and a half from the corners. 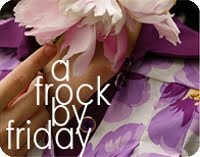 Here's a site where you can get nylon chiffon in many colors for only $1.85 a yard. 5. Hang lanterns from the corners. Here are some REALLY cheap moroccan style lanterns (they say $4.74 but when you add them to your cart they are only $3.32 a piece). 6. Then if you really want to go all out start on the inside of the tent. Drape complimenting colors of chiffon fabric from the edges to the center. If you didn't want to do that you could stencil gold fleur de lis or stars on the inside. 7. Hang a chandelier from the center. 8. Finally I don't think this is necessary but it would be a nice finishing touch. I might even add some rod finals to the tops of the poles. Here are some ones that would work well. Paint gold. To find more like this, type "rod finials" in google search. To attach one idea might be to add a magnet to the top of each pole and another magnet on the bottom of each finial. These magnets would work. That way you don't have to screw anything or make a hole in the tent. Just place magnets together through tent fabric. Nice Raj Tents Pic and Design are fabulous.I really like it. That's awesome! It looks like you are in a fairy tale! Love it! Nice tent provided on your blog. If anybody looking a free matrimony site, Register at MakeMyLove.com free!